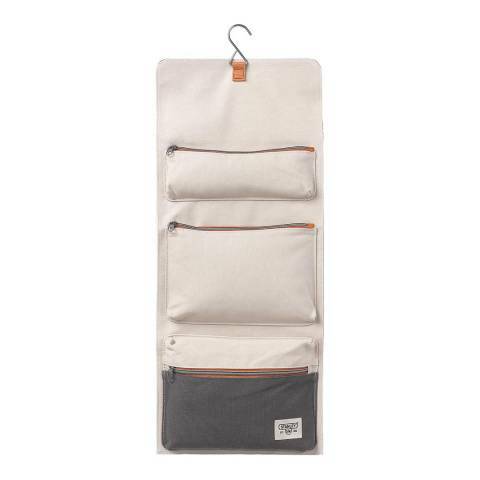 This STANLEY Wash Roll Kit features three zipped storage compartments in varied sizes and a metal hanger. 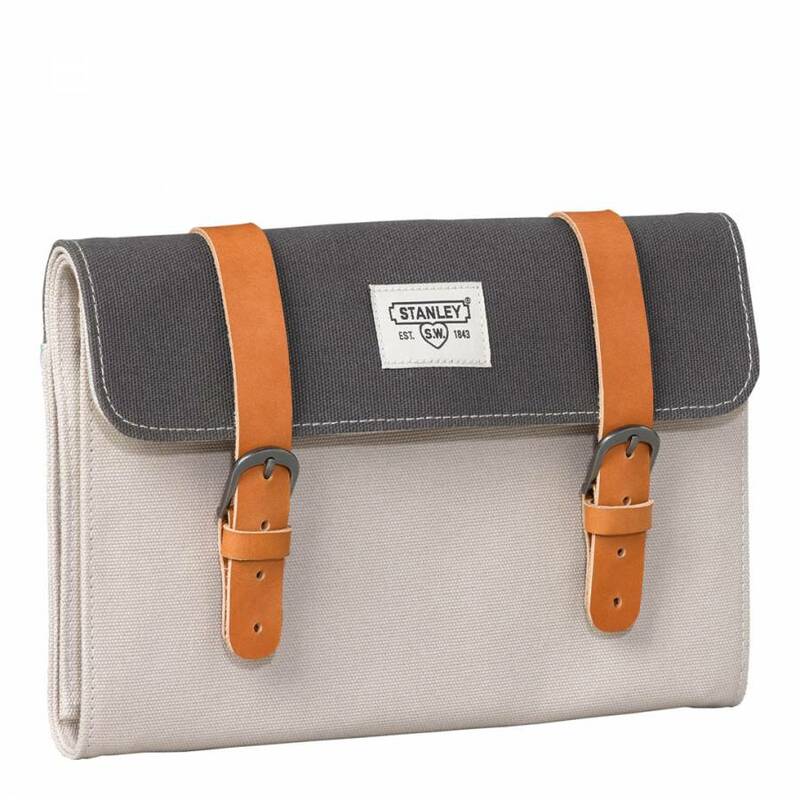 The tan leather buckle closure on the front of the roll can be unattached for usability. Perfect for use as a wash roll, travel bag, tool pouch or dopp kit, it's the ideal size for storing your essentials for any excursion. 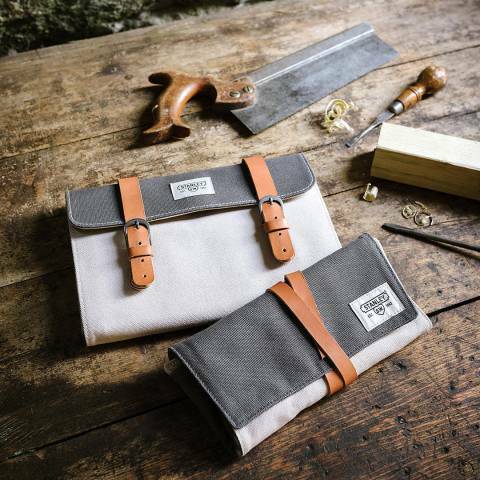 The hard wearing 18oz canvas kit features a two-tone design and displays the STANLEY logo embroidered onto the front.